Google is conducting self-driving tests in the U.S. using Chrysler minivans. LONDON -- Automakers can expect rising global demand over the coming decades, even if "dramatic" changes to the industry mean fewer people actually own their cars, said Gilles Normand, Renault's head of electric vehicles. The emergence of driverless robo-taxis after 2025, along with electrification, smart travel apps and the growth of car sharing, may slow demand in advanced economies such as the U.S. and Europe, said Normand, the French company's senior vice president for electric vehicles. Any decline in richer countries will be offset by growing sales in emerging economies he said in an interview in London on Wednesday. India is close to overtaking Germany in terms of market size, he said. "The industry is going to evolve more in the next 10 years than in the last century," he said. "Mobility tomorrow will evolve to something where we move from owning a car to more buying a service." Electric vehicles still represent only a tiny share of global vehicle sales but are growing quickly and going to become more widely used as prices for the batteries continue to decline. Car hailing and sharing, spurred by companies like Uber, are set to expand. By 2030, 95 percent of U.S. passenger miles will be made via this "transport as a service" model, with fleets of self-driving electric vehicles that aren't owned by individuals and can be ordered on demand, according to a report last week by the research company RethinkX. As shared cars will be used more than individually owned ones, fewer will be needed. "It doesn't mean it will happen in every country at the same speed because obviously there are a lot of regulations," said Normand. The carmaker is the alliance partner of Nissan Motor Co., which owns a 15 percent of the French company. Nissan’s Nissan Leaf was the second best-selling EV in 2016, while the Zoe model was the eighth best-selling model, according to Bloomberg New Energy Finance. Earlier this year, the Renault-Nissan alliance partnered with Transdev in a research effort to develop electric, driverless vehicles. They want to develop a system that lets people book rides and helps operators manage self-driving fleets. "You still need the same amount of cars, but you have less cars being used in parking lots and you can reduce parking lots and you have more friendly space in cities, but this is going to be long term," Normand said. Even as technology giants like Google develop autonomous vehicle software and sensor systems, they're avoiding making cars in high volume, a complex manufacturing process that traditional automakers have already mastered. Technology companies are used to high margin and low capital intensity, not the high capital costs seen in the auto sector, Normand said. "When they start to make the maths they'll understand that this is a very competitive industry, there is a lot of product liability already," he said. "We think we won't be one against the other but are more likely to co-operate." 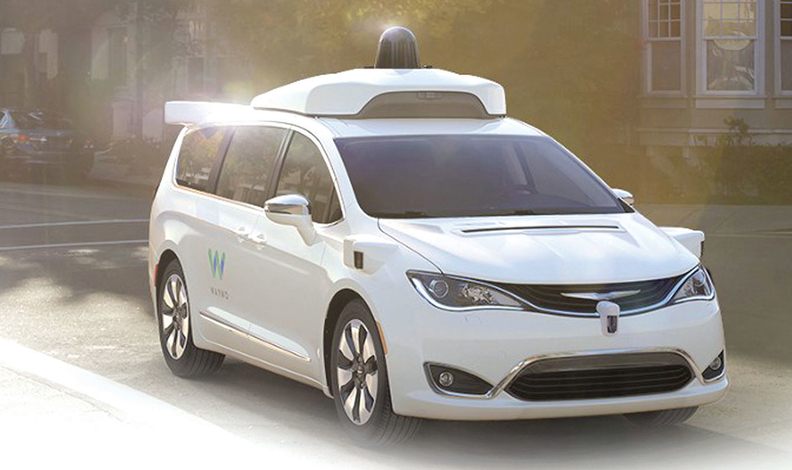 Indeed, Google parent Alphabet's Waymo self-driving car unit has already partnered with traditional automakers and the CEO John Krafcik likes to say he's in the business of building a better driver, not a better vehicle.